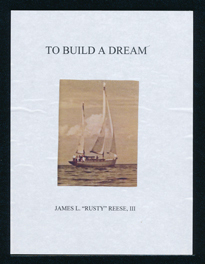 Jim "Rusty' Reese, grandson of Bainbridge boat builder Charlie Taylor and local resident himself, is the author of the self-published book To Build A Dream (1972). The book recounts the design, construction, and launching of Persis, a 54 foot ketch Reese and his friends build in Charlie Taylor's boat yard in Eagle Harbor during the early 1960s. The book is available through the local author's collection of the Bainbridge Public Library.